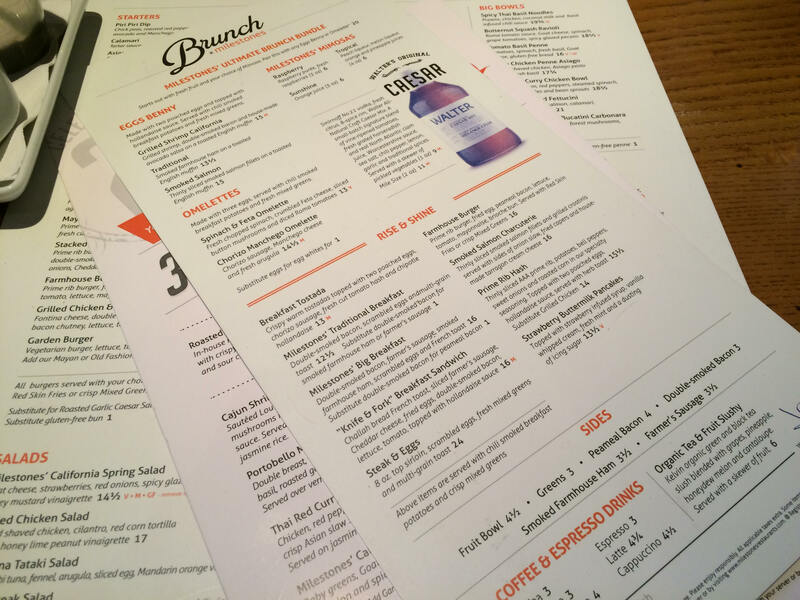 As a writer for Modern Mix Vancouver, I get to attend different events, grand openings, fashion shows, and more, but the brunch I had at Milestones Yaletown as part of the MMV Brunch Series was definitely one of the more memorable experiences. 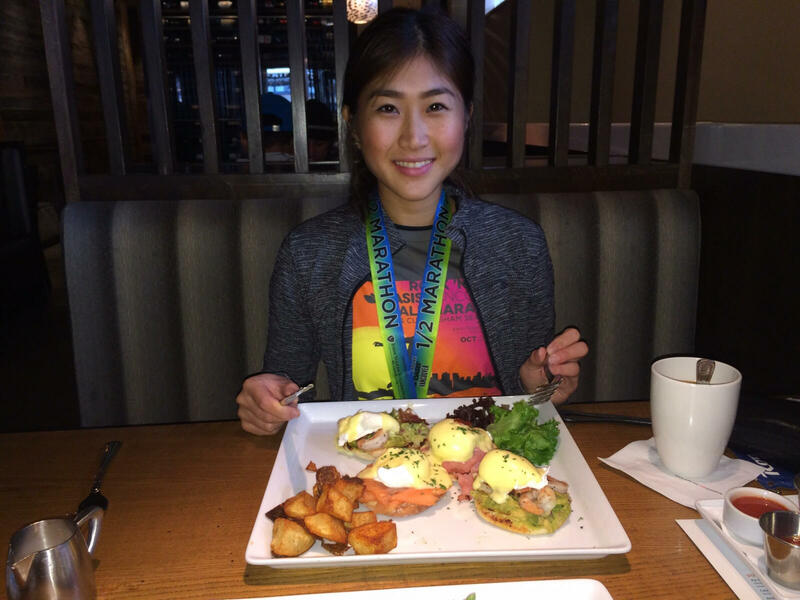 Maybe it was because I went after my Rock ‘n’ Roll Vancouver Half Marathon, but my appetite was larger-than-life, and everything tasted so good! But I’m pretty sure I would’ve indulged regardless if I ran in the morning or not; James and I both agreed this was surprisingly some of the best brunch we’ve had in Vancouver. Milestones Head Chef Jerson Limbaroc was friendly, so knowledgeable, and even sat down with us to explain the brunch tasting he prepared for us. On the platter were Milestone signature brunch items, which were unique to their menu and is what I think sets them apart. 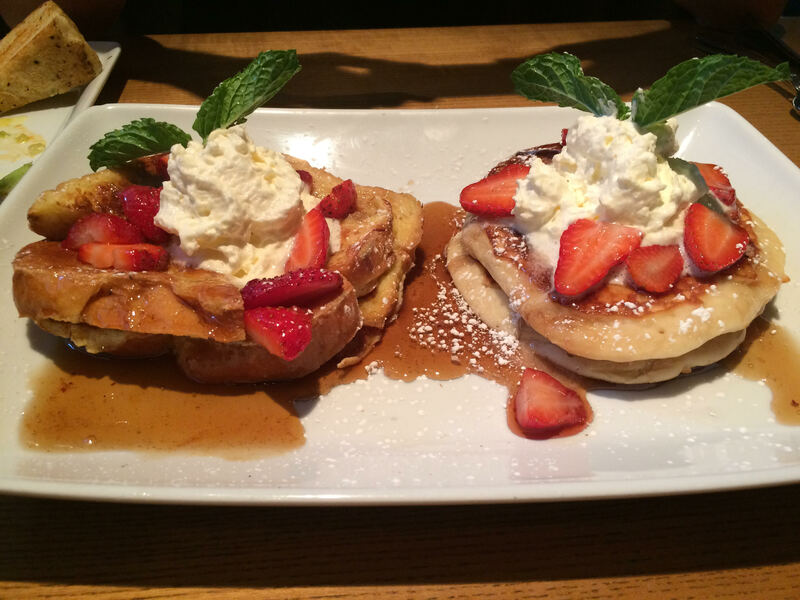 We enjoyed three types of egg bennys, the Breakfast Tostadas, the Prime Rib Hash (understandably a favourite among customers), and French Toast and Buttermilk Pancakes. Everything was fresh, warm and cooked to perfection to the point where I honestly can’t think of one thing I didn’t like. I did have a few favourite dishes though (making up about 80% of what we had! ): the Grilled Shrimp California eggs benny, the Breakfast Tostadas, and the Prime Rib Hash, all of which I’ve never had for brunch until then. Needless to sa y, all three dishes are much more satisfying and flavorful than the standard breakfast I normally get: eggs, sausage, hash and toast. 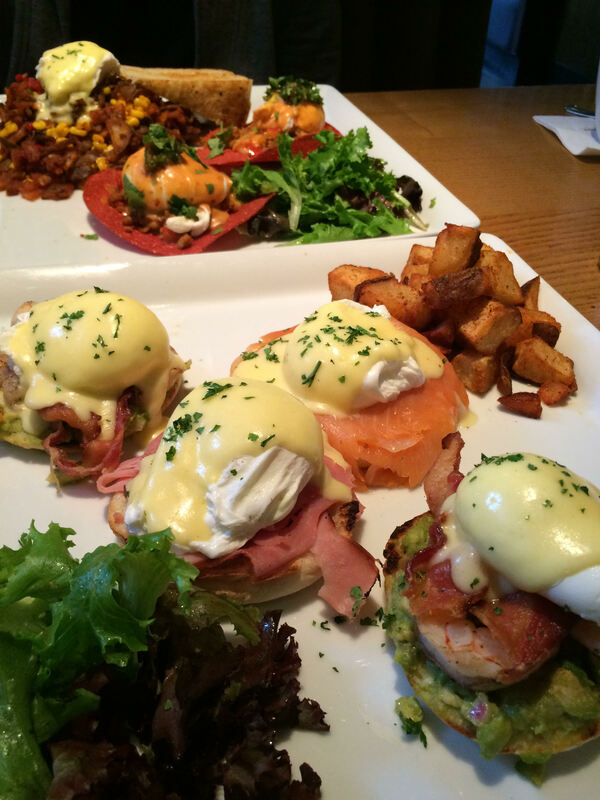 If you’re looking for a new brunch spot to check out in Vancouver, look no further than Milestones. After my experience on Sunday, it’s become one of the top places on my to-go list for brunch. For those in Burnaby, a heads up that Milestones is opening two locations -one by Brentwood and one by Metrotown. 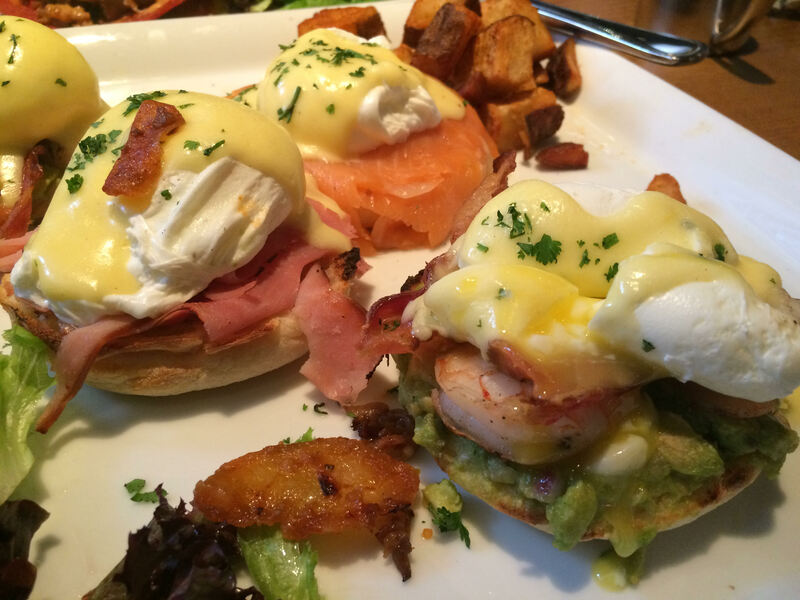 I would definitely recommend Milestones brunch to my friends and I’d definitely go back to try the rest of their menu, including their dinner menu and their Seafood Event menu, which runs from now until December 6. For 25% off their entire Seafood Event menu, make sure to go before the end of the month! The 25% off promo for the Seafood Event menu ends on October 31, 2015. 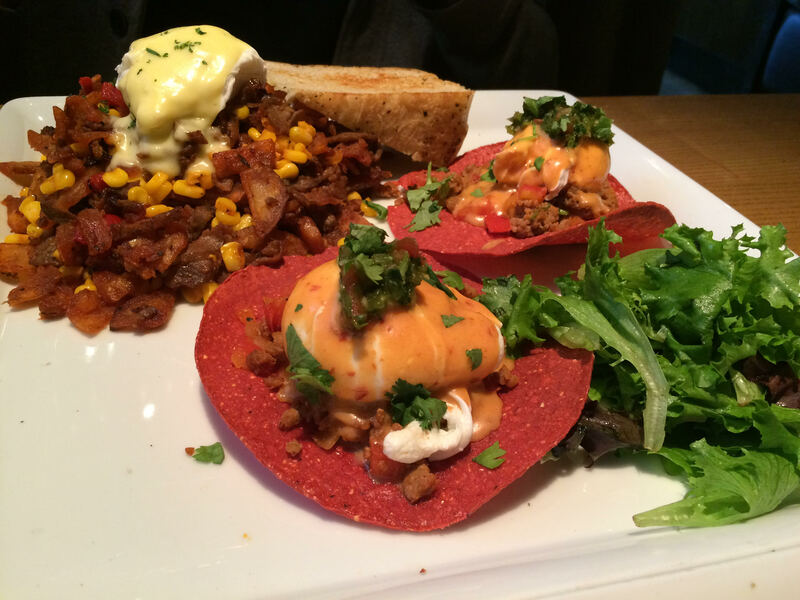 For a full recap of our Milestones brunch, read my article on Modern Mix Vancouver.